January 3, 2014 2:17 pm / 4 Comments on Taking our library from drab to fab! What’s in the pumpkin? Read to find out! Reading requires stamina. I get reminded of that over and over again every time my daughter Jenna(4) reads a Bob Book. Jenna knows her letters, she knows her sounds, and she can sound out words. But her first time reading any new Bob Book is extremely laborious. Pages 1-2 are great. Then by page 5 she’s rolling around on the couch. Some teachers would take the “Hold off! She’s not developmentally ready!” approach. My opinion is that 5-10 minutes a day of phonics isn’t going to hurt a four-year-old. I also know that the second and third time Jenna reads a Bob Book (the next day, and the day after that), she breezes through it. So I don’t think this is about developmental readiness as much as about developing stamina. Day one of introducing a new book, I’ve got to bring my A-game. Building words is a good start. What your seeing up above is what’s in the pumpkin! I went to Target and bought ten items from the dollar spot. Now, every time Jenna finishes a new book from Bob Books Set 2-Advancing Beginners, she gets to pick a new pumpkin surprise. Yes, it’s important to use positive reinforcements with caution. Eventually I want Jenna to read because she loves reading, not because she wants a junky prize from China! But right now, I want to her practice, practice, practice. I know from experience that by the time Jenna can get through Bob Books Set 3- Word Families , she’ll think reading is a lot of fun. Reading windows make Bob Books pop. continues. Nobody promised these would be fun, right? I don’t know about you, but I could really give a rip about Muff, Ruff, and the 10 Cut Ups. But I can handle 5-7 minutes a day of reading Bob Books, and so can my daughter. Be tough, Muff and Ruff! A learning tool I introduced to Jenna(4) today was her brand new reading window wand. This is a classic Kindergarten teacher trick. Grab a popsicle stick, cut out a piece of paper, use some glitter; whatever. The most important thing is to make a window with clear masking tape. For some reason the “window” is what makes these so exciting to children. You could also jazz things up further by making a bunch of reading window wands that all looked different. Then, every morning you could let your child choose which wand to use that day. Using a reading window wand allows children to isolate words, which helps some brains concentrate better. In Jenna’s case, she can concentrate just fine. In fact, her concentration abilities are working against her decoding skills because Jenna relies a lot on picture cues and sentence patterns to help her read. Those strengths are going to come in really handy when she’s a second grade reader, but right now I want Jenna to master sounding words out. Have you ever hit a wall with phonics? I like Balanced Literacy Instruction because I’m a big believer in flexibility. Yes, I love phonics. Yes, my kids have known their letters and sounds since they were two. But that doesn’t mean that Whole Language doesn’t have some tricks to offer. One of those ideas from the Whole Language world is to label everything (and I mean everything!) in your classroom. So I was thinking, why not try this at home? My daughter Jenna is 4 years old now and can read Bob Books #1-3 on her own independently. But by book #4, she’s bored. I don’t push her. Jenna will tell me when she’s ready to read. But in the meantime, I can be as sneaky as I want. She might come home from a Grandma day and find the whole house labeled for her! Even the steamer on our wood stove gets a label. So come on baby girl! I’ve still got a few tricks up my sleeve that might pique your interest in becoming an independent reader. It’s a long way to Kindergarten and I’ve got a whole bunch of fun things planned. When are Kids Ready to Learn? 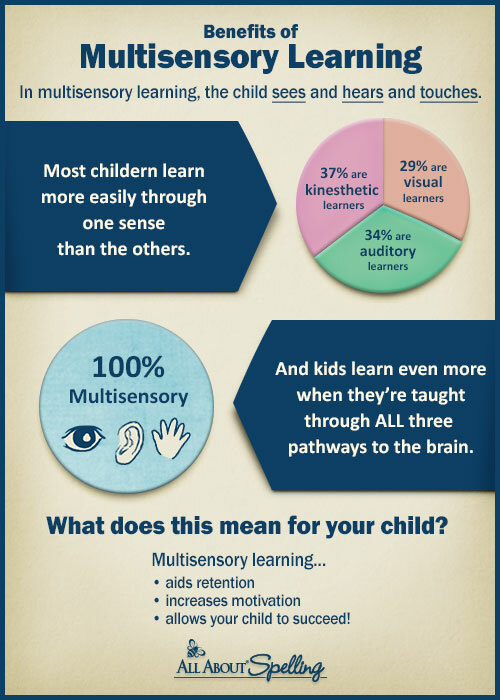 Every child learns at a different rate and that’s okay. But here’s the problem… I think that some parents and teachers get so caught up in accommodating developmental readiness, that they miss out on the opportunity to teach important academic concepts to young children. I believe that children as young as 18 months are capable of learning Kindergarten level skills. That’s the whole point of my blog! The trick is to teach things like letters, sounds and phonics, through highly engaging, play-based activities. A few key videos like Leap Frog’s Letter Factory can help too. Still, developmental readiness is a real thing. I have followed the same course of instruction for both Bruce and Jenna, starting at 18 months old. (Check out my Where to Start Page for more info.) But they both are reaching different milestones at different ages. When you lay it out like that, it is easy to see the ebb and flow of learning. Sometimes learning happens quickly, sometimes it takes more time, but it doesn’t mean that the time I spend with my children teaching them new things isn’t meaningful. Kids are ready to learn when they are ready. Kids might be ready to learn as soon as you are ready to teach them. One of the ways teachers encourage reading comprehension in Balanced Literacy classrooms, is by teaching kids to make “Text to Self”, “Text to Text”, and “Text to World” connections. Another educator-phrase for this is “Activating prior knowledge.” The idea is that if kids come into a text already knowing something about it, then they will be able to understand the content better. You can encourage these types of connections at home when you are doing read aloud at bedtime. “Hmmm, this part reminds me of_______” etc. We were reading Bumpy Tractor and got to the line “Though bumping’s what I love to do, I can be very gentle, too”. Completely unprompted, Jenna said “I can be gentle. I’m gentle when I hold kitty cats. I held the orange kitty cat in my lap very gently.” She was referring to when she played with her cousin’s new litter of kittens. Whether or Jenna did indeed hold those cats gently is up for debate! Teachers know that there are three different types of reading: Independent Reading, Guided Reading, and Read Aloud. Reading to your child is of course essential, but that’s just hitting upon one type of reading. Independent Reading, is when a child can sit down by himself and read a book. For Jenna, this means sitting down by herself, paging through books, and looking at pictures. For Bruce, it means staying up until 9:30 because he’s insisting on finishing Wayside School Gets a Little Stranger. Guided Reading is when you and your child are both engaged in reading a book together, and sharing your thinking and opinions as you go along. Guided Reading may involve reading silently inside your head, or reading aloud. When Bruce and I were reading the Little House on the Prairie series last summer, I’d often have him read the left hand pages, and I would read the right. We’d talk about the story as it went along. Jenna can’t really do Guided Reading yet, but she’s beginning to a little bit when I ask her to point out letters or pictures she can name in the books we read together. Read Aloud is when the adult reads the book to the child. This is what most parents do very well. Right now my husband is reading The Hobbit to Bruce, and we read dozens of picture books to Jenna each day. Read Aloud books should be too hard for your child to read on their own. Independent Reading books should be too soft (meaning easy). Guided Reading books should be just right. Okay, here’s the skinny on reading theory that I learned during my credentialing process. Of course, this information is ten? years old, so there might be some brand new wonderful idea colleges are promoting now, for teaching kids to read. Educators are really big on new buzzwords and magic cure-all ideas. Phonics is when you concentrate on teaching children the sounds each letter makes, as well as each possible letter combination. An emergent reading who was strictly taught using phonics would try to sound out every word phonetically, even words like “the”, which don’t follow phonetic rules. (Hence they are sometimes called outlaw words.) If you went to school before 1990, you probably were taught to read with a phonics based approach. Whole Language focuses on surrounding children with language rich environments, predictable books, patterned songs, and taking children’s own stories and writing them in mini books for them to read. The Whole Language method can work, if it is done effectively by a competent teacher who knows what she is doing. I had the privilege of working with a wonderful K/1 team member at the San Carlos Charter Learning Center, who considered herself a Whole Language teacher and was a fantastic educator. That being said, the Whole Language method was an absolute disaster when it hit California schools in the 1990s. Test scores plummeted and parents were really p-d off. Just when California decided to scrap the whole deal, Washington State adopted Whole Language only to see their test scores fall soon thereafter. Children in classes with new teachers fared the worst, because newer teachers were more likely to follow the Whole Language curriculum exactly. Veteran teachers, often said “What the heck?”, saved their old phonics materials, and taught phonics on the sly. My own sister entered Kindergarten in the 1990s beginning to read, and left her Whole Language Kindergarten having forgotten everything she had known just nine months before. The fix to all of this mess? It’s called Balanced Literacy Instruction. The idea is to take the best from Phonics, the best from Whole Language, smash them together and teach children how to read. You keep the print rich environment, the patterned books and songs, the Morning Messages, and the write your own mini books from Whole Language. But then you throw in a huge amount of systematic phonics instruction, and call it “Working with Words”. Now you are in the know! Won’t you sound smart at your kid’s next open house? When Bruce was one and a half I came across Glenn Doman’s How to Teach Your Baby to Read in a used bookstore. I bought it, and quickly read it cover to cover. His idea that you could use giant flashcards to teach small babies to read had me hooked, and I was eager to see if this method worked. I made the flashcards and gave it a good three months, about when Bruce was 18-21 months. At the same time, I was also teaching him his ABCs and sounds using the videos “ABCs and Such” and some good old fashioned play-time with ABC blocks. Maybe this messed up the Glenn Doman Gentle Revolution method, so it didn’t work. I don’t know. Doman does NOT want you to teach children their letters or sounds. He just wants you to concentrate on flashcards, and reading books to children. After a while, I honestly gave up on the flashcards. It just didn’t seem to be working. But boy did I want it to! So when Jenna was born, I shelled out the $70 to buy the “Teach Your Baby to Read” video, also from Glenn Doman. That was a waste of money, because it was basically a lecture of Glenn Doman’s daughter telling you the exact same things as was in the book. What bugged me was that they never showed any evidence. They said that there were babies who could read, but they never showed them. So, did the Gentle Revolution method work for Bruce? No, but that didn’t mean he wasn’t a strong reader by age four. A combination of phonics and whole language instruction were what did it. That being said, I still think that Glenn Doman has some interesting ideas and theories, the main being that there is a window of opportunity in young children when it is much easier to teach them how to read or learn a language, than it will be in later life. This is the same theory Maria Montessori promoted, and boy and I a believer. But I sure do wish I had saved my money on Glenn Doman propaganda. I didn’t even tell you about the money I spent on those darn “Teach Your Baby Math” flashcards!